Anytime of the year is great for outdoorsy folks who want to hit the back country, go waterfowl hunting, bow hunting, deer and elk hunting, fishing, hiking, camping, and more adventuresome activities. Backyard camping out is fun and exciting for the kids. Parents can join them or have a date night of their own in the house. Whether you head for the flats, the beach, or the mountains, you will have an enjoyable time when an ice chest goes with you. If you’re an angler, hunt turkeys, go to campgrounds, go to a tailgating event, the sandy beach, or a special place in the woods, you must have an ice chest to cool your food and beverages. When you are outdoors for a minimum of 10-15 minutes, you will feel better emotionally and physically. Even a few hours at the city park with dinner on the picnic table will do you a wealth of good. We all know that food tastes better outdoors. You will have a lot to do getting your camping gear together. You know the drill well from the years you’ve been doing it. Did you know that there are coolers to take with you for your specific requirements? The coolest best camping coolers can be found at homepage and we hope your ideal cooler will make for a terrific adventure. If you are doing an evening in the park, why not whip up some homemade ice cream and take with you. We have a recipe for you to try to take along in a cooler along with your sandwiches and drinks. There is nothing as wonderful as being on the water in a pontoon boat, a fishing boat, or hanging around on the bank with a campfire blazing or a small propane cook stove for frying your catch. 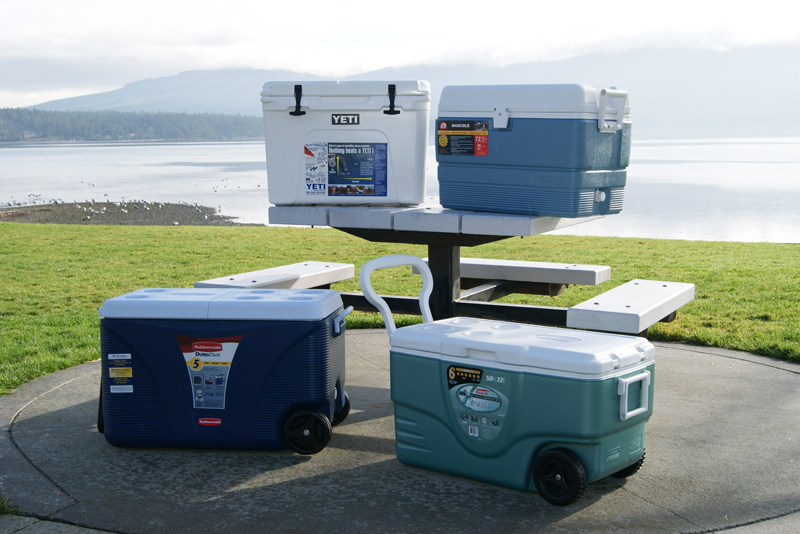 Fishing coolers are a necessity to have handy when away from home for a day, weekend, or even longer with your friends, partner, the kids, or going it alone. When I was a kid, it was not prohibited to swim in the rivers and lakes. One nice late spring day, the family packed up a picnic basket with a small cooler for soda pop and bologna sandwiches and off we went. We had to walk through cow pastures to get to the river. That was allowed and no farmers came out to tell us we were on private property. My brother, so hyperactive, silly, and fun, decided to walk in the water over to the deeper part. I told him not to—he did it anyway and not knowing how to swim, became panicked thrashing in the water. Happy ending—but not. Dad, being taller, went in and retrieved younger brother and let him dry out. A few days later, my brother became very sick running a fever. Mom took him to the doctor and was petrified when she learned he had typhoid fever—he had swallowed the river water. It is a serious intestinal illness caused by bacteria called Salmonella Typhi. I did say above that we walked across a cow pasture and we know what they did in the water beside drink it. He had fatigue, weakness, stomach pains, loss of appetite (and he always had a good one), headaches, and a high fever for weeks. Today there is a vaccine for typhoid. Just remember to keep the kids from welcoming contaminated water. Back to camping—or will you be glamping? 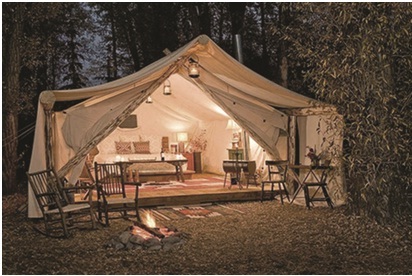 Glamping, as you know, is a more glamorous and luxurious way of camping out, and is usually provided by glamping companies with many of these tents pictured here in an area. You may have electricity with a small refrigerator, but why not take your own cooler to have more room for your beverages and special items that you want. When you do conventional camping out, you will always need coolers. Place it under a tree, cover with a blanket or towel, and don’t get in it too often. It’s not a good idea to put it in a tent or RV because the heat inside will make it warm up and melt the ice. Coolers are the best thing since sliced bread. 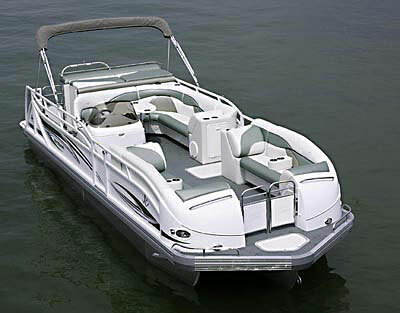 They have tie downs for boats, they are easy to clean, and are relatively easy to take with you. 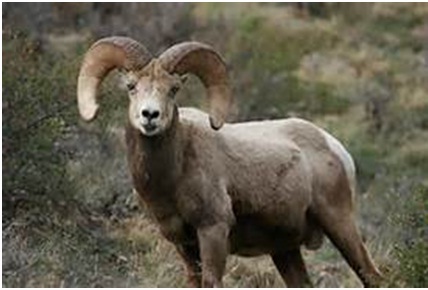 You might use a pup tent when you go out for deer, elk, or the majestic Rocky Mountain big horn sheep, and will need a hunting cooler to go back to in the evening for cool drinks and some food. You can take ice, ice blocks, or ice paks to keep everything cold and to stay cold without melting. See an article here about how to keep ice from melting. It’s time for me to get going with 2 poles and sit on the reservoir boat docks. Since my father passed away and his pontoon was sold off—wanted it to stay in the family—I simply sit on the dock by the water and catch some small fish such as blue gills and bass. I do my girly thing and take them home to clean in the kitchen sink and pan fry them until the tails are crisp! Happy camping, fishing, hunting, and many backyard escapades! We all need it more than we think! We get home feeling rejuvenated and feel refreshed with our commune with nature. If the stars were in alignment, you will be taking home a beautiful animal for food and a mount.